Whenever something comes into your life it seems that you are so excited about the “newness” of it all that you do not spend very much time at all thinking about how you will feel when it ends. Perhaps it is human nature that we do not want to think about such things as it reminds us of our own mortality. Or maybe it is just our way of putting off the inevitable. But on Monday with the ring of the doorbell and a plop of a box on our front porch the time had come for me to retire my running watch and move on to a new one. I had performed CPR on my old watch numerous times over the past few months. Waking it up from the dead. Upgrading the hardware and software, doing a hard-reset to the system. But I was just in denial. It was time. 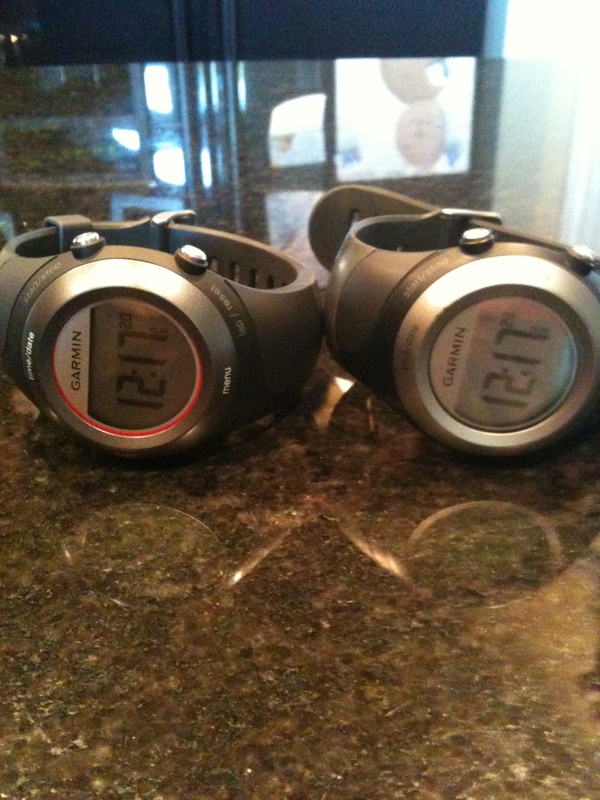 I ordered the exact same model Garmin. My watch had been good to me. We had covered some serious mileage together. Ran and raced better, faster and farther than I ever have before. We ran in Mexico, Canada, Hawaii and 27 of our 48 contiguous states. We ran 7 marathons together, 8 half-marathons, 2 ultra races and too many short distance events to count. We ran across the Golden Gate Bridge in San Francisco, raced across the Cooper River Bridge in Charleston, SC. through a grove of Eucalyptus trees on Kauai and along the shores of the Gulf of Mexico. We ran in the snow, rain, wind and Texas heat. We even ran silently alone together on Christmas Morning this year to visit Dom at the cemetery. Together we went out the door for 887 runs that covered 7,082.75 miles. Essentially across the United States from coast to coast. Twice. We climbed 438,669 feet of hills together. That is 83 miles straight up. My watch was good to me and in turn it was raised in triumph as we crossed the finish line this fall at the New York City Marathon with our personal best in that event with Dawn and Landry looking on. I’m going to miss my old watch. But as they say, nothing lasts forever. I only hope that my new one brings me half of the enjoyment and triumph that my old one did. To the last 7,000+ miles … thank you my friend. It wouldn’t have been the same without you. Running by feel. Leave the watch at home. Over the last 12-18 months I have been playing an idea over and over in my head when it comes to racing. I have been thinking about showing up to an “A” race, one where my performance is of utmost importance in my eyes, where I have trained diligently, watched my nutrition, tapered properly and find myself at the starting line 100% ready and 100% healthy. I put on my race gear, affix my bib, double tie the laces in my race flats and race completely by feel. No GPS watch. No race splits. No feedback. Just me, the way my body is reacting to the load and my brain to interpret the fastest pace I can run over the remaining miles of the race to the very last stride. The way Bill Rogers and the rest of the American Road Racers did when we produced more sub 2:20 marathoners in the United States 40 years ago than we do today. By a wide margin. This notion has been building for some time as I have noticed that my ability to exceed expectations on training runs where I do not look at my GPS watch have become commonplace. The last two weeks I have wrapped up my One Off, One On workouts with a closing mile in 5:57 and 5:59 respectively without sneaking a peak at watch or my pace. At the New York City marathon, where I started on the lower deck of the Verrazano bridge – my GPS watch could not find signal and I had no reliable data for the first 6 miles of the course. My pace through 6 miles – 6:47. My goal pace for the race – 6:52. Exactly where I needed to be. 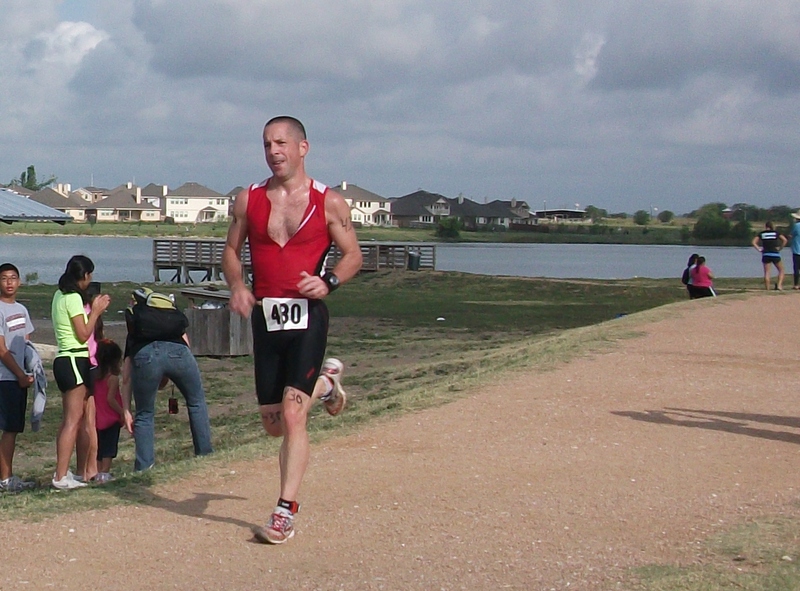 At the Lake Pflugerville Triathlon last Sunday my GPS watch was “frozen” as I transitioned from the bike to the run. I was unable to revive it and I ran the entire run leg by feel. My pace after the swim, a 14 mile bike in 85 degree weather? 6:14 for 3 miles. My pace the day before at the Holland Cornfest 5K? 6.02 for 3.1 miles. My point is that I believe that with the proper emphasis on training by feel and locking in our feelings of “exerted effort” and how it “feels” to run a 6 minute mile, a mile at half-marathon pace (6:22), marathon goal pace (6:52) or “easy” pace (7:45) – these feelings manifest themselves on race day and allow us to get out of our own way. Instead of fixating on a mile split and thinking, “Man, I need to back off – I’m going too fast ….” running by feel allows the athlete to compute the distance remaining and determine just how much they can push it at that point to again, run the remainder of the race as fast as possible down to the last second. Our reliance on our GPS devices has taken away the freedom of road racing and replaced it with a system of positive and negative reinforcement. We are becoming like the chicken that pecks at the bulls eye to release food pellets. I am seriously contemplating running the Houston Marathon, my next “A” race and leaving the watch at home. 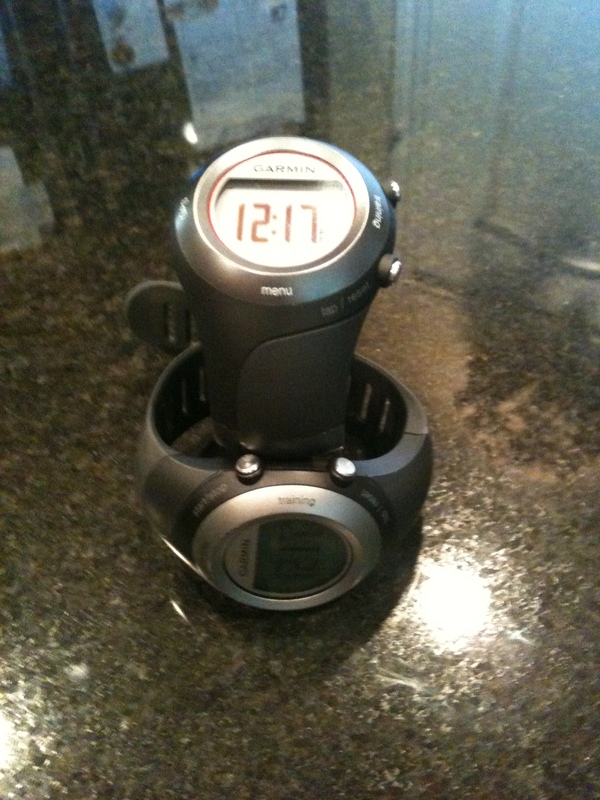 I am going to make a concerted effort to run at least twice a week in the interim with my watch in the driveway – only recording my starting time and ending time and relying on my internal compass to take me through my workout. By January I will know EXACTLY what 6:50 pace feels like and be able to repeat it at will. If on January 13th my body feels that 6:42 pace or 6:40 pace is where we need to be, then that is where we will race. We will never know the difference until we reach mile 20 and start to do the math and figure out just how much time we have left to cross that finish line in 2 hours, 59 minutes and as many seconds that I can shave off to break three hours. In a sense I am going to just get out of my own way and let me be great. That’s how winning is done after all. It doesn’t have anything to do with a watch. 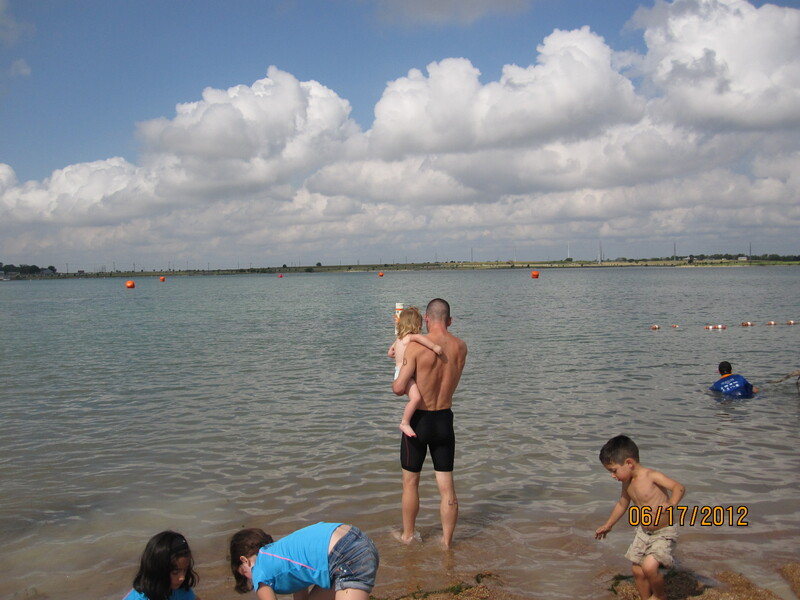 Last year when I started to entertain the thought of competing in the Longhorn Ironman 70.3 this October the thought of swimming 1.2 miles in Open Water didn’t really scare me. I had covered that distance a few times without stopping in Quarry Lake here in Austin last summer. It was more a matter of finding a rhythym and staying smooth and even. I might not be a fast swimmer, but I can knock out 2,250 meters in the pool or lake pretty comfortably. Swimming 1,931? Doable. Running 13.1 miles to wrap up the Ironman 70.3? As I write this post my 7 half-marathon finisher’s medals hang on hooks less than two feet away. Alongside them are my 8 marathon finishers medals and a couple of team ultra-marathon medals from the past two Ragnar Relay Races I’ve completed. 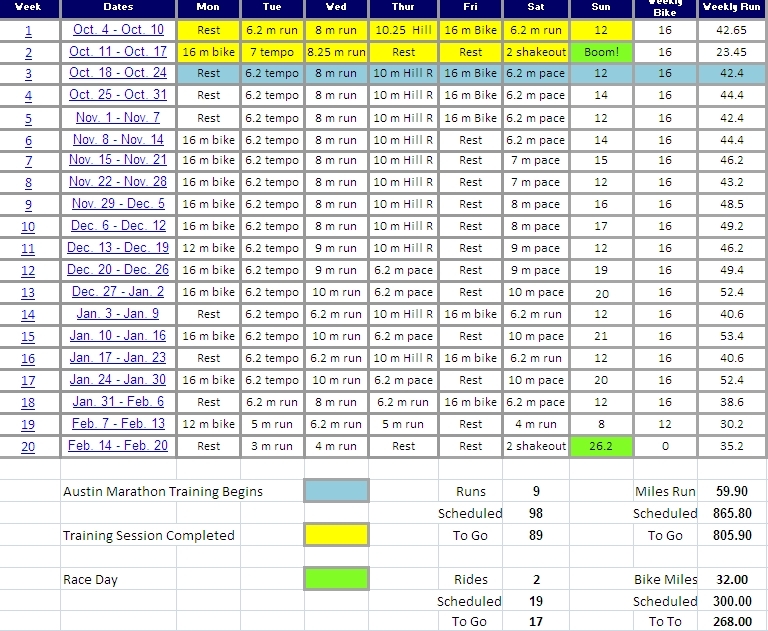 My training log is literally littered with hundreds of runs in excess of 13.1 miles. The run? Bring it on. 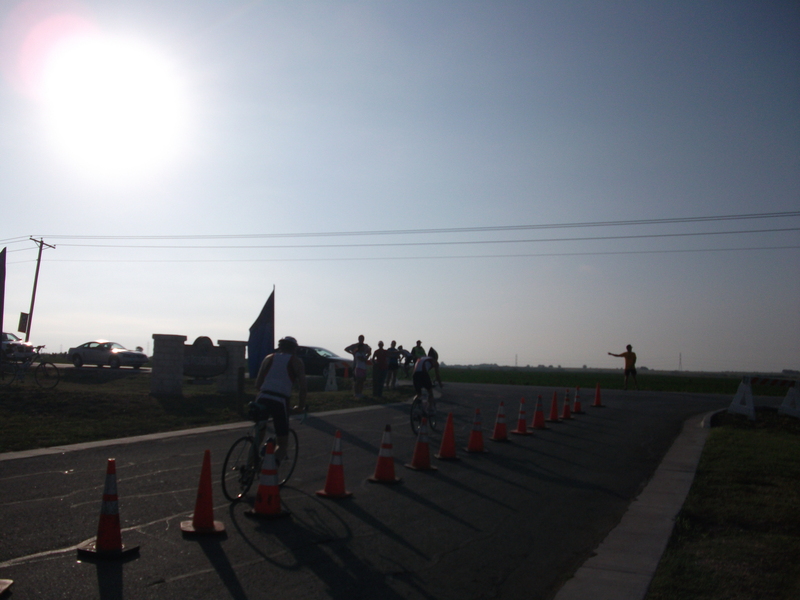 It was the 56-mile bike leg that had me nervous about Longhorn. 56 miles just “sounds” like it is a far way to go. That’s a long ride on my Harley, and I don’t have to pedal one bit on the Deuce. Could I really hang in the saddle for 56 miles? 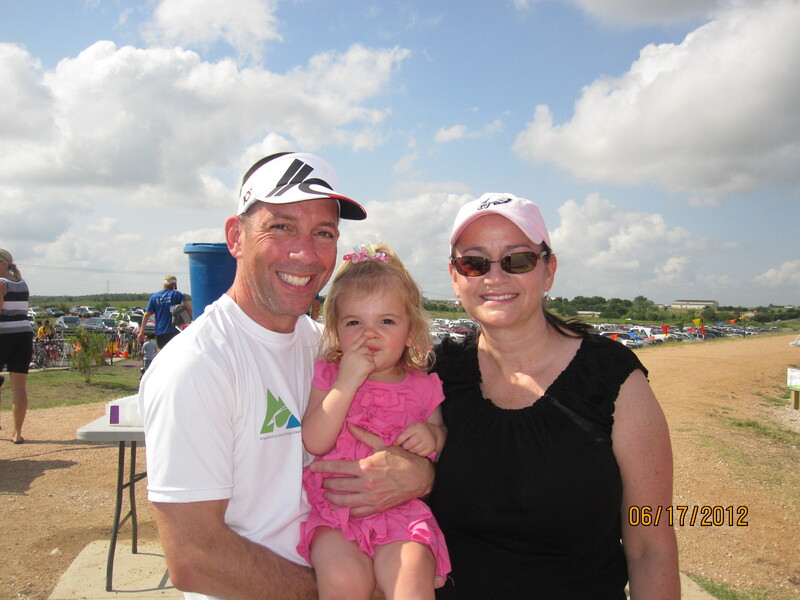 Well after the Pflugerville triathlon on Sunday my friends Jay and Ed talked about riding “long” on Thursday. 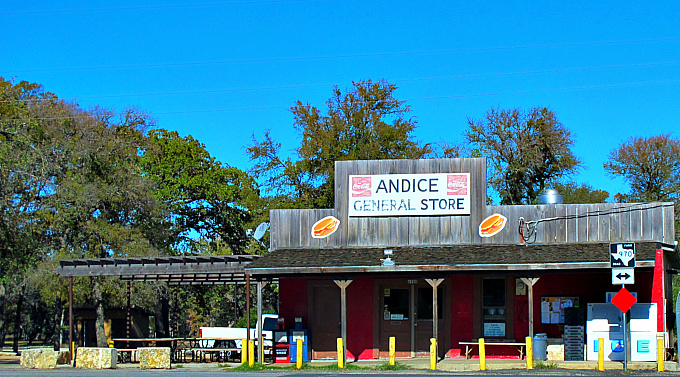 Perhaps out to the general store in Andice, TX and back. The first thing I though was – 56 miles. The ride out to Andice is a pretty common route for the triathlete and road bike community in the North, Northwest part of Austin where I live. It is done on a weekend morning usually, most of the time as a group where at the General Store in Andice you can stop and get yourself one of their famous “Turnaround Burgers”. It was a ride I had always wanted to do, but was not comfortable heading out there on my own for the first time. What if I got lost? Flatted? Had a mechanical issue with my bike? It was a much safer proposition with a crowd. So with Jay and Ed heading out on Thursday morning, I decided to mix up my training schedule for the week and making the plunge. 50+ miles in the saddle. I rode the 4+ miles to Jay’s house to rendevous with Ed who lives just a few houses down and Jorge who was going to join us for the ride. The solo 4 miles gave me a chance to warm-up a bit, get up over 20 mph to get the legs firing before we settled into a much slower, easy pace for the ride out. The miles ticked by effortlessly, and before I knew it Ed was turning back to cap his ride at 20 miles. 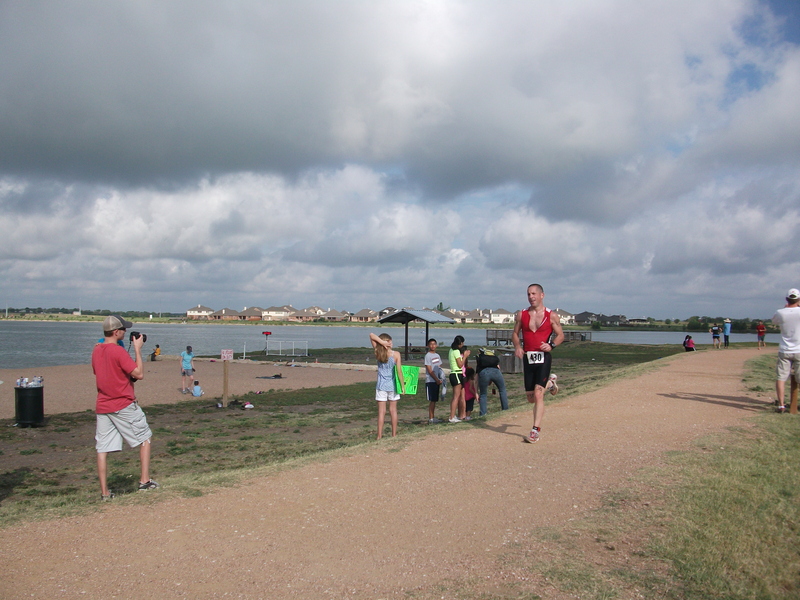 He is racing at the Buffalo Springs Half-Ironman this weekend out in Lubbock, TX and was saving some energy for race weekend. Jay, Jorge and I rode out Parmer Lane, heading up and down the rolling hills out to Andice. As we rolled into the small town the General Store appeared at the end of the road. We were halfway there. We got off the bikes, walked into the old cedar plank floor general store for some drinks and saddled back up for the ride back home. As the miles ticked from 30 to 35 to 40 I felt strong on the bike. Just a couple of days post race, my fitness level really is in a great place right now. As we hit the big climbs with 12 miles to go to my house we parted ways and I rode back solo at an up-tempo pace averaging over 20 mph for the last 1/5 of the ride. I crossed that “mystical” 56 mile mark as I turned at the light at Avery Ranch Road and Parmer Lane, making the left turn to our house, the final 2 miles that wraps up each of my training rides. I thundered uphill past our pool, back down the other side of the climb to the last group of rollers before banking hard and turning into our neighborhood. I kept the cadence high, pounded on the pedals and rode to our home finishing up at 58 miles. My final 12 miles were my fastest of the morning at 23.9, 18.7, 20.7, 21.2, 20.6, 21.8, 22.0, 16.3, 22.3, 18.1, 19.7, 23.1 mph. It was a ride at 80% effort, so I am nowhere near where I will need to be to race hard over this distance come October. But it was a solid first attempt at a “long-ride” and just logging the miles and banking that time in the saddle was a big victory. All of a sudden 56 miles doesn’t seem like a big deal at all. It feels just the same as the first time I ran a 20 mile training run before my first marathon. Until you cross that line you have doubts about doing it. But once you reach it, you realize there is another line just a little bit further out ahead of you that is firmly within your reach. By October we will have ridden our first 100K Ride, our first 75 miler and eventually our first century ride of 100 miles. I might need to stop inside the General Store in Andice and get a Turnaround Burger for that one. It is not too often that I think about a single workout in such a way that it warrants its very own post here on the blog. If that were the case, that is pretty much all we would ever be thinking about or talking about here at Run for Dom. In the last 12 months we’ve had 332 workouts spread over those 365 days. That is a lot of running, swimming and cycling. But every once in awhile there is a workout that sticks with you. Well Monday’s One Off – One On Workout was one of those days. To narrow the focus even more it was not even the entire workout that was remarkable – but the final final “On” mile that made a great workout a special one. It was 76 degrees on Monday morning with a stiff breeze blowing from the South, Southeast. 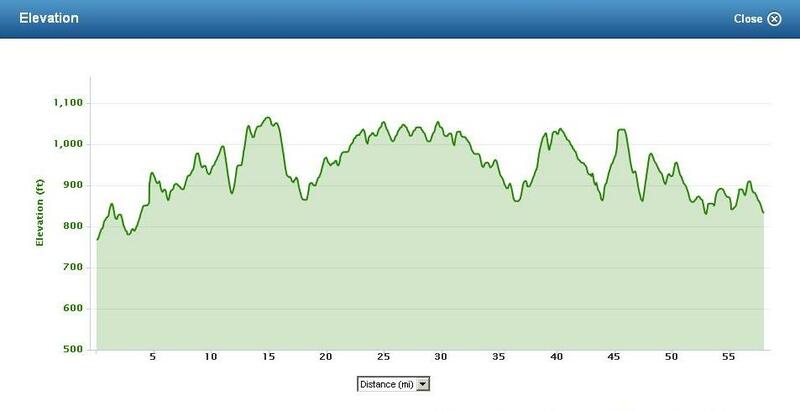 The way the route is laid out for this 8-mile run, I would be running the first two “On” miles with very little help. The wind would be blowing into our face for the majority of miles two and four of the session. Only helping ever so slightly over the final 400 meters of mile 4. But on Mile 6 and Mile 8, my final two “On” miles, the wind would be neutral – blowing across the course as I ramped up my pace and dropped down approaching 5K Race pace. It is tough to create the feeling of “race pace” when you are running alone in the early morning on a training run. This is one of the drawbacks to training yourself and not part of a traditional workout group or running club. You have to create your own intensity and push yourself to those limits without anyone alongside of you or running out in front to pull you along. It makes for tough training, but in a way, I think it helps me late in smaller races when there is nobody to chase and nobody on my heels. It is those moments where backing off just a hair starts to enter into your mind. The difference between 6:05 pace and 6:15 pace can be measured in pain much easier than pace. Those :10 can feel so much easier on the legs, lungs, heart and mind. It is difficult to continue to summon maximum effort when you are your own pacer. Running and training alone helps in those cases, but it does make workouts a challenge. As I was running mile 5 or my third of four “Off” miles, I started to entertain the thought of a sub 6:00 minute final mile. I knew that I was well ahead of the pace I set last Tuesday for this workout – where I ran my “On” miles in 6:52, 6:39, 6:30 amd 6:13. I had opened things up on Monday morning with “On” miles of 6:28 and 6:14. Pretty darn fast. But would I have enough left on that final “On” mile to push to sub 6:00 min./mile pace? I pressed the thought back down into the recesses of my mind and focused on the next “On” mile that was just about to start on the beep of my watch. As I made the turn underneath the street lamp and glanced down at my watch, the mileage read 4.99. 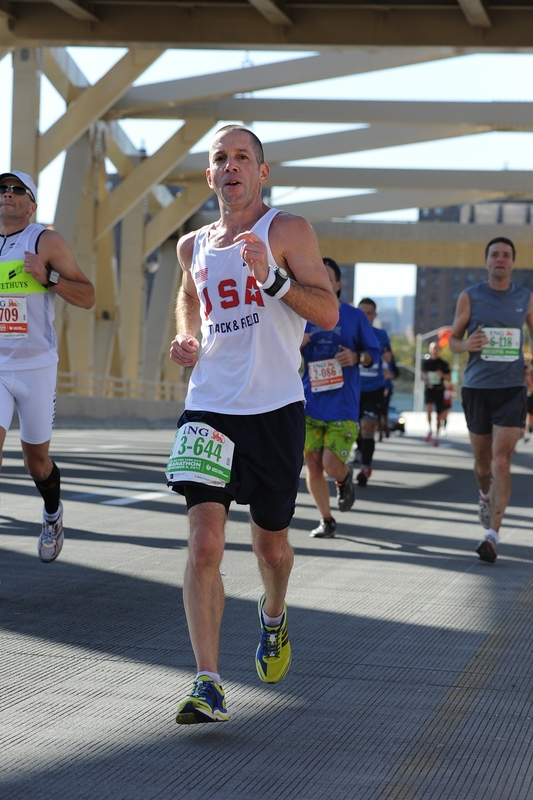 I took four strides and at the sound of the beep marking the start of mile 6 I dropped back into my up-tempo pace. My legs were firing and my breathing was back on rhythm. A deep inhale followed by an exhale as my third stride landed on the ground. 5K cadence. I navigated the two left turns that lead to a small incline before making the final right hand turn that puts me right back on our street. Mile 6 finishes just a few houses before you reach our driveway. I kept pushing through to the end of the neighbors yard and listened for the beep. As it sounded I held my hand out under the street light and saw my split – 6:06. I was really going to have to dig deep on the last one. I slowed back to my recovery pace as I passed our house and picked my way to the end of the street and started the final “Off” mile that featured a slow climb out of our neighborhood. I made the left on Avery Ranch Road and stayed on the sidewalk as the morning commuters were starting to fill the road. My breathing had returned to normal and I braced for the final “On” mile. Time to go to work. At the beep I tucked my hips up underneath me and lengthened out my stride. Landing my footstrike on the balls of my feet – you could barely hear my Adidas Aegis shoes hitting the road. This was the first time I had worn the shoes since the Boston Marathon. I powered through the first 1/4 mile and felt strong and solid. The last 1/4 would run itself. It was the middle half-mile where the battle to hold pace was going to take place on a lonely dark street at 6:00 a.m. I climbed the last short hill, made the left hand turn past the barking dog that always greets me on my way to the jogging trail. Just past his house I turned left for the final time and glanced down at my watch, 7.74 miles – I was ready to start the final quarter. Breathing was starting to get ragged, but I kept the same rhythm, exhaling on every third footstrike. I passed a woman walking her dog on the sidewalk and I could hear the sweat starting to squish in my running shoes with every footfall. I jumped the curb to the entrance to the jogging trail, make a sharp right turn and after 7 or 8 strides I heard the final beep marking the end of mile 8. I waited a few strides before I glanced down at my watch. Hoping to see a sub 6:00 minute mile – but knowing it was going to be awfully close. I slowly jogged the final .50 miles to the house along the trail enjoying every bit of the end of the workout. An outlandish goal I had set after last week’s workout – I thought that if I stuck with this session I might have a shot to break through in 4 or 5 weeks. Instead, I dropped a 5:57.4 mile at the end of a tough workout on my first “real” attempt. Whether or not we are ready to run a course PR at Holland on Saturday or if we can muster a sub 19 minute 5K on that course we are going to find out. Race day weather, health, nutrition and “having” or “not having” it on race day will of course all come into play as they always do. But for this one morning in June. We were faster than we’ve ever been, and that’s something.